After 18 years in power, Vladimir Putin is finally meeting his political match: babushkas. 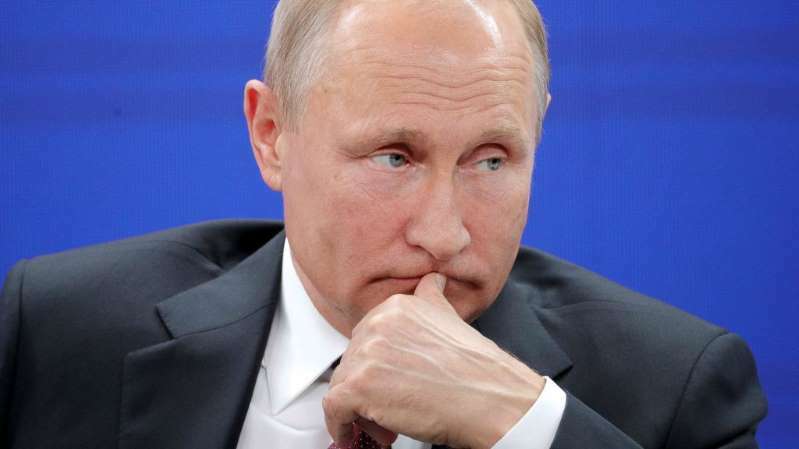 The 66-year-old Russian president has seen his approval rating plummet this year. From 82% in April, it fell to 66% in October, according to independent pollster the Levada Center. The drop follows his decision to reform Russia’s pensions; a move that inspired tens of thousands of Russians to take to the streets this year. The protests forced Putin into taking the rare step of softening the reforms in August. The Kremlin initially planned to raise women’s retirement age from 55 to 63, but later changed it to 60. Nevertheless, his ratings continue to fall. In response to demonstrations, he called the reforms, “a difficult, complicated, but necessary decision,” for the good of the economy. The former KGB agent is now approaching his lowest-ever approval rating of 61%, which he has hit twice before: In June 2000 (shortly after he was first elected), and in Nov. 2013. A few months after the latter trough, Putin annexed Crimea and his approval sky-rocketed to the mid-80s.